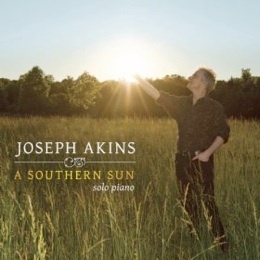 The Best of Joseph Akins is a collection of fourteen remastered solo piano tracks from six of the seven albums Akins released between 1997 and 2017. (His 2011 A Piano Christmas is not included for obvious reasons.) Joseph’s first album was Keys To the Heart, which was recently (2018) remastered and rereleased; his second (and my introduction to his music) was Masterpeace in 2007, so there was a fairly long gap between his first two releases. Also a professor of Music Industry at Middle Tennessee University, Dr. Akins’ music is always top-notch, as is the sound quality of his recordings. I have to admit that I was just a little disappointed that more of his upbeat “southern-style” pieces were not included, but those might have changed the overall peaceful vibe of the album. Don’t get me wrong - there is plenty to love about this retrospective of one of my favorite pianists’ career to date! The album begins with “Through The Looking Glass” from Keys To The Heart (1997) and was re-recorded specifically for this album. Putting one of his earliest tracks first is a great way to start, but it’s also interesting that this is classic Joseph Akins and very recognizable as his style. “Feeling Joy” from Spirit Touch (2009) is next. Lighthearted and buoyant, it’s also an Akins classic. “Night Runner” from Castle Moon (2015) shows a somewhat darker and more mysterious side - one of my favorites from that album. 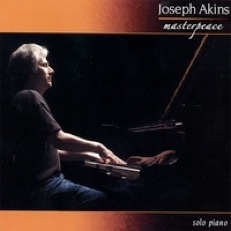 “Masterpeace” is one of Akins’ “signature pieces” and is the title track from the album that “officially” launched his career as a recording artist and composer. The next two tracks juxtapose “Winter Is Coming” from A Southern Sun (2013) and “Winter is Here” from Castle Moon, albums that were intended to be somewhat opposite to each other with one more upbeat and one somewhat darker. Both pieces are gorgeous and make very effective use of reverb and the piano’s damper pedal to create an icy, chilly feeling. “Dance of My Ancestors” from Spirit Touch has been a favorite for many years, and I remember Akins saying in concert that he gave it that title because it’s a dance and it’s about his ancestors! Uh-huh! It starts out slowly, and then builds to a lively, spirited dance. The very gentle and sweet “Lullaby For Baby G” first appeared on the 2017 Into the Flow - another favorite! So is “Night Shadows” from Spirit Touch. This one is almost spooky and again makes use of reverb to create a darker mood that brightens a bit in the middle as strings and voices are added. “An Eagle’s Path” from A Southern Sun expresses the freedom of flight, joyfully soaring high! 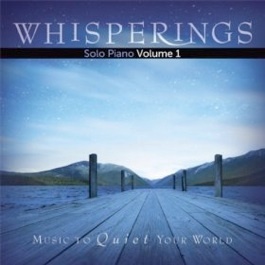 The pensive “Finding Grace” from Masterpeace brings this excellent collection to a quiet, peaceful close. Subtle voices are added here and there for additional tonal colors. 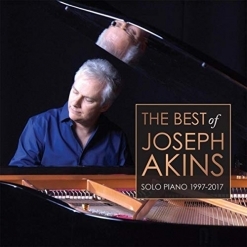 The Best of Joseph Akins is a wonderful collection and easily explains why Joseph Akins is one of the most popular pianists in the new age piano genre. If you aren’t familiar with his music, this is a great place to start! If you have all seven of his previous albums, this is still a must-have since the pieces have been re-mastered to make the piano sound consistent from one track to the next. Great stuff! The album is available from www.JosephAkins.com, Amazon, iTunes and CD Baby.